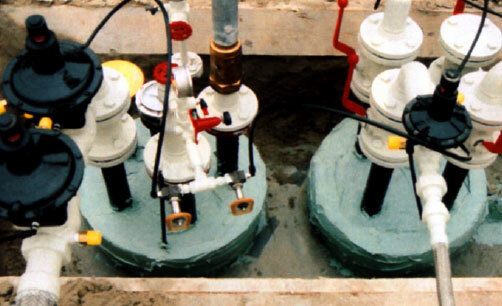 Permanently plastic sealing compounds designed to prevent or stop any corrosive processes on buried or surface pipes or individual components (parts of storage tanks, manholes, flanges, joints). Guarantees long-term protection, acting like a barrier against water, air and gases. • Does not harden, retains its original soft state and therefore can be removed and reused with the utmost ease. •	Adheres to most materials and has seen long-term use on gas pipelines, chemical plants, petrochemical plants and oil refinery plants as well as on structures subject to saline, acid or basic corrosion. •	No need to interrupt supply of the service during application. Ingredients: CZ WRAPPING BAND: 2 mm thick tape, consisting in an external sheet of EPDM (0.8 mm thick), by an internal reinforcement made of LPDE (a 0.08 mm thick special type of polyethylene) and by a layer of POLY-OLEFINE. Resistance: diluted and saturate sodium and potassium chloride saline solutions. diluted acids and bases (pH 3-14), such as hydrochloric, acetic, sodium and potassium hydroxide solutions. Polluted underground water with <5g/l concentrations for brief periods of time, petrol solutions or ethane and isopropyl alcohol solutions. The products do not require any prior treatment such as sandblasting or primers. It is advisable to use a rag to remove any deposits, inconsistent items, oil stains or moulds from the pipes. 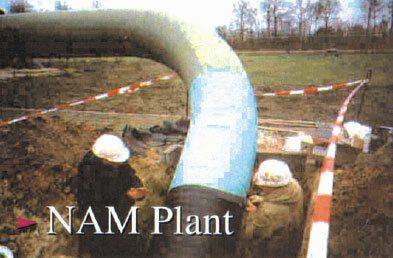 STOPAQ CZ PASTE is applied to flanged pipes or pipes with joints; STOPAQ CZ WRAPPING BAND is applied to smooth conduction pipes or parts of pipes located between one flange and another. 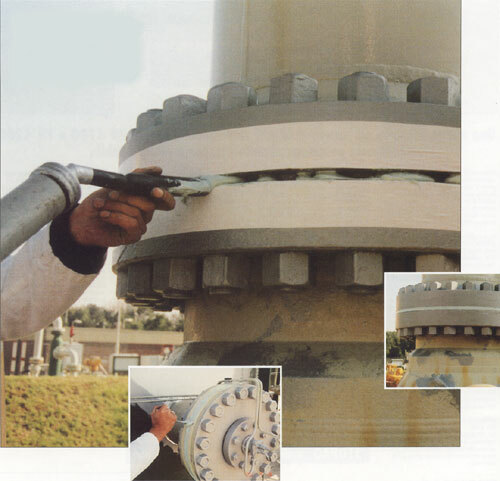 The paste is applied using a special gun, covering the entire flange surface. The product is then covered using sheets of geofabric and PVC adhesive tape which is overlapped by half its width. The tape is wrapped around the pipe so that it overlaps by half of its width (5 cm wide tape, overlapping by 2.5 cm, and 10 cm wide tape, overlapping by approx. 5 cm). A PVC tape is applied to protect the product (as described above). There is no need to interrupt supply of the service during application.